ASRock is one of the world’s leading motherboard manufacturers, shipping over 7 million motherboards in 2012. They’re gearing up for Intel’s Haswell launch on 4 June 2013 at the same time that the Computex Taipei 2013 expo opens its doors. 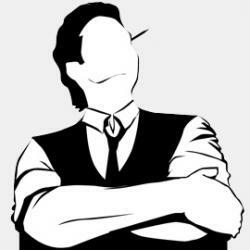 VR-Zone appears to have leaked some press information under NDA and quickly withdrew the reveal from their website. Some people managed to grab screenshots of the boards and it looks like enthusiasts are going to be very happy. 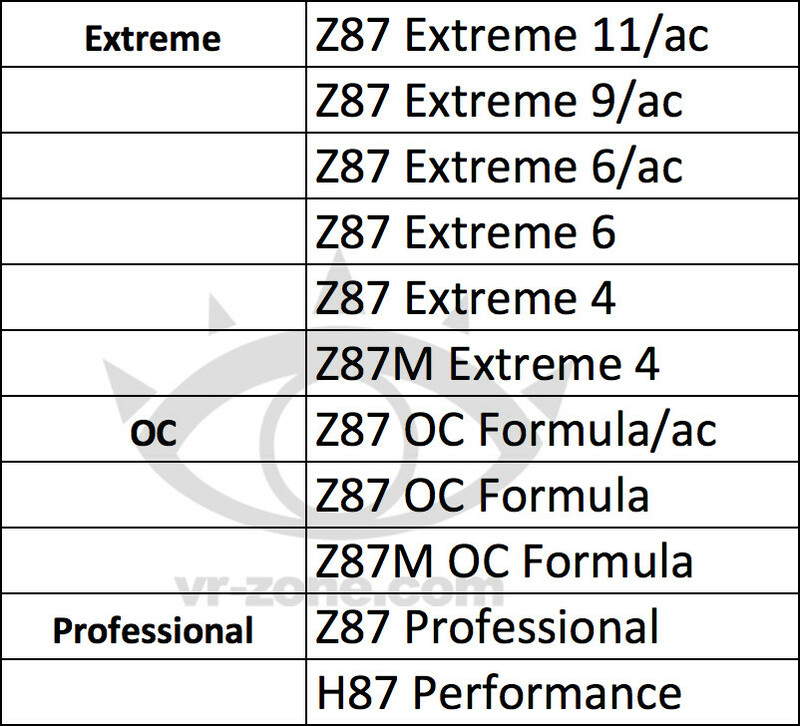 The top of the range will be the Z87 Extreme 9. 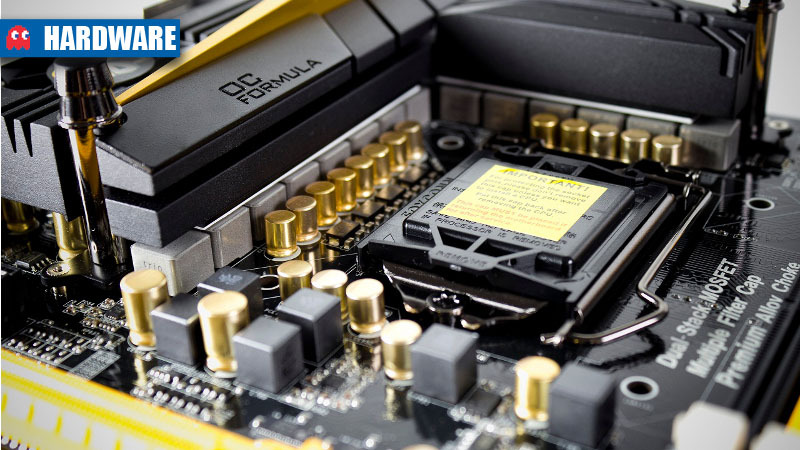 Based on LGA1150 socket and the Z87 chipset, it’ll have space for four DDR3 modules, quad Crossfire or SLI, dual 8-pin PEG (PCI Express Graphics) connectors for the CPU to deliver more power for overclockers and no less than ten SATA 6GB/s ports from the chipset. That is going to be one hell of a board to beat. 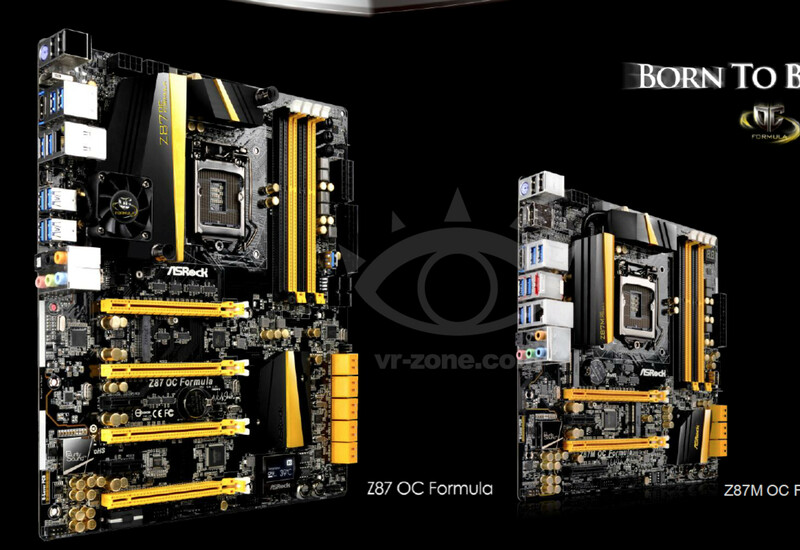 Next to it is the Z87 OC Formula, building on the success of the extremely popular Z77 OC Formula, the first motherboard that made enthusiasts take ASRock’s products very seriously. It sticks to the black-and-yellow colour scheme, also sports dual 8-pin PEG connectors for extra power delivery and has the same ten SATA 6GB/s port SATA port setup. Zoom into the picture for a close-up – the port 80 debug LED now turns into a small LCD panel that can display things like temperature and other pertinent information. Overclocker Nick Shih’s signature is below the second PCI-E port to the right. In a massive blow to mATX performance boards everywhere, it looks like there’s a Z87M OC Formula in the works as well. It probably won’t overclock as high as its bigger brother, but it will be a big irritation to ASUS and Gigabyte, who currently rule the performance mATX market with the Rampage Gene and the G1 Sniper families. 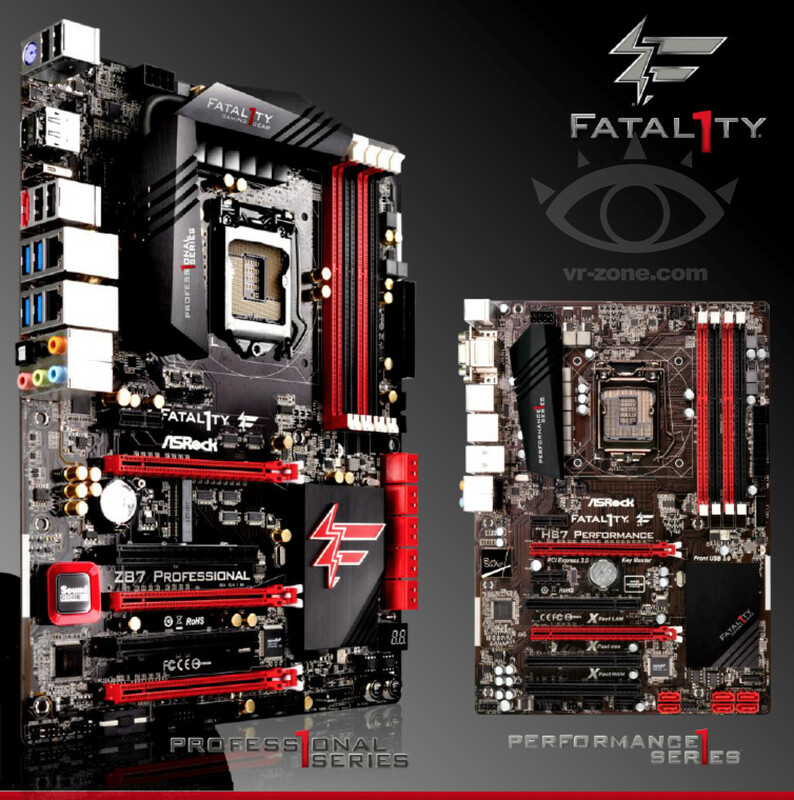 The Z87 Fatal1ty Professional continues the association with professional gamer Johnathan “Fatal1ty” Wendel, even though he’s been out of the competitive gaming scene since 2009, and offers a more budget approach. It has the same SATA layout but drops one 8-pin PEG connector. The PCI-E slot layout also changes, but doesn’t offer the flexibility of the Extreme 9 or the OC Formula. This will be the board marketed to gamers and will retail for cheaper. It also includes a Creative SoundBlaster audio chip and dual network ports. The H87 Fatal1ty Performance also makes an appearance in the pictures below. It has one less PCI-E slot, no rotated SATA ports, a single Ethernet port as well as onboard VGA and DVI video ports. 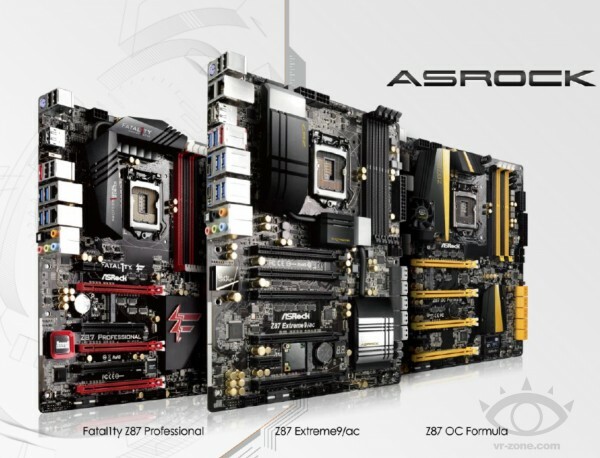 Of note is the “/ac” attached to some names in ASRock’s product list. This most likely specifies that they have a high-end on-board sound setup. Zooming into the pictures we can see something called “Purity Sound”, an in-house-designed audio solution that appears for the first time on ASRock’s motherboards. How much for the ultimate gaming rig?